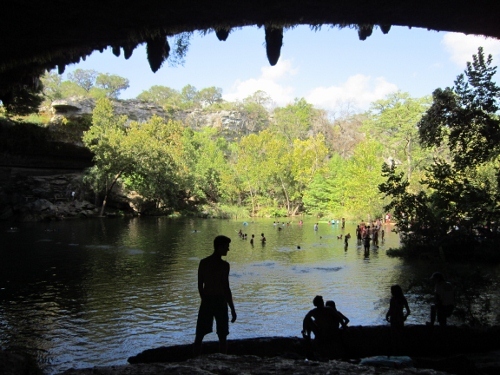 Austin has a ton to offer: exciting outdoor adventures, delicious restaurants, talented musicians, hilarious comedy and unique shops. I plan to see and do as much as I can while living here. I’ll be updating this list frequently with additions and completions. Attend a show at the Continental Club. Discover the Cathedral of Junk. See Gary Clark Jr. play live. Take in a sunset at the Oasis Restaurant on Lake Travis. April 2013. Volunteer for SXSW every year. March 2012. March 2013. Locate the best breakfast taco in town. Spy a tarantula… from afar. May 2013. 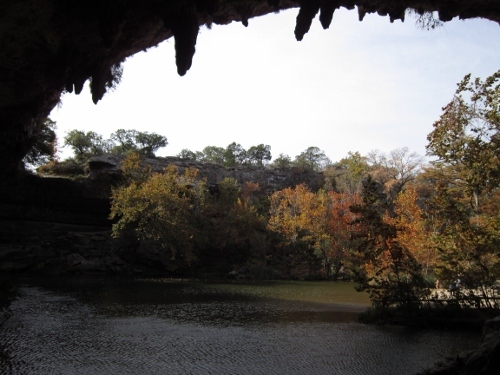 Take a photo from the same spot at Hamilton Pool during all four seasons. Spring. Summer. Fall. Winter. Create some sort of art project with the photos from #10. Buy a funky sculpture made of scrap metal. Go to an outdoor concert. July 2013. Ice skate at Whole Foods during the winter. Wear fashionable stripes and sip a good wine at Chez Nous. Fly a kite at the Zilker Park Kite Festival. Walk my dog along Lady Bird Lake. January 2013. Get a dog so that I can complete #19. January 2013. Devour a pastry from Sweetish Hill Bakery. Have a fancy drink and listen to piano at the Driskill Hotel. Tour the Ladybird Johnson Wildflower Center. See a show at the Paramount. Eat BBQ at Salt Lick. April 2013. Rent a costume from Lucy in Disguise with Diamonds. Attend at Quote-Along or Sing-Along at an Alamo Drafthouse theater. Drink a beer at the Tiniest Bar in Texas.